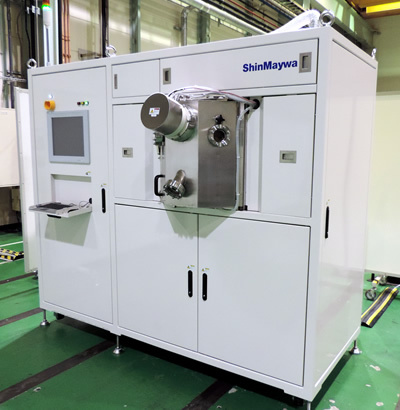 Ion Etching System | Thin Films and Surface Modification | ShinMaywa Industries, Ltd.
What is Ion Etching System ? 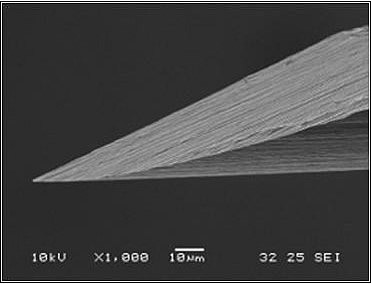 Ion Etching is one of the physical cutting techniques by bombarding an object with ionized atom. 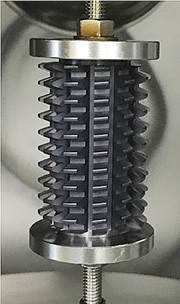 Using our own techniques, ShinMaywa has developed a de-coating system for cutting tools, dies and other parts. De-coating means removing coatings from a substrate and makes it possible for the substrate to reuse. There is a de-coating method using chemical but it may cause damages to a substrate and uses different chemical liquids depending on coating types. 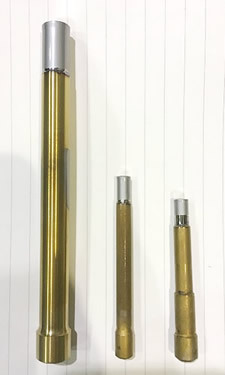 When using hard metal alloy as a substrate, its component, cobalt is melted by chemical and the surface gets damaged, therefore it is considered to be difficult to reuse. 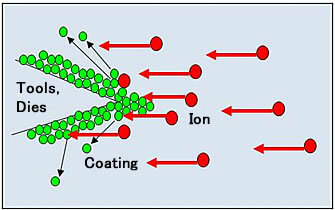 ShinMaywa's Ion Etching system uses a useful de-coating method replacing with using chemical methods. Our system irradiates ions under dry environment, there is no cobalt (Co) elution contained in carbide substrate and the damage to the surface of the substrate can be minimized. In addition, it is gentle to human bodies and environment. 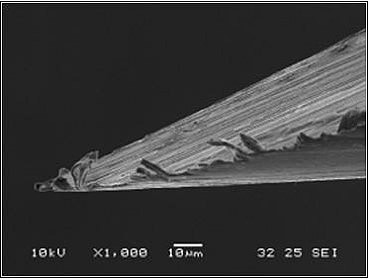 Not only for "de-coating" but it can be also used for "de-burring" and "sharpening of edges". 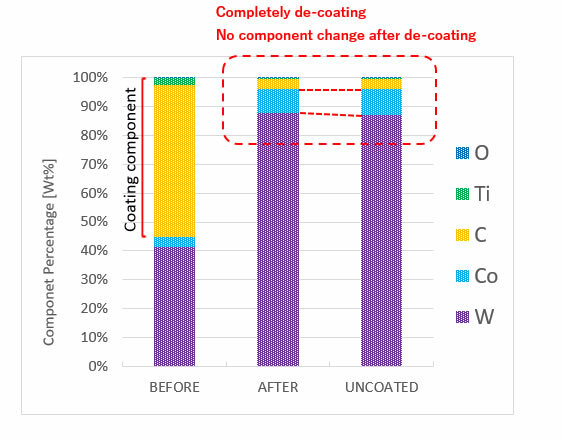 Reuse of substrates by de-coating leads to cost reduction for manufacturing as well as materials. 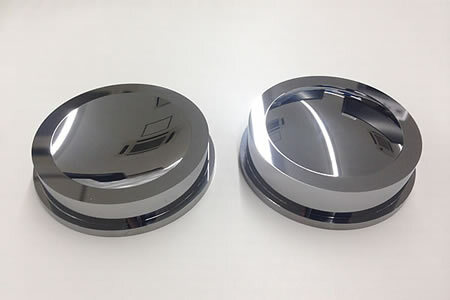 For those who have a coating system, it can be also used for recovery of coat-defective parts. We line up compact and standard types for system sale. 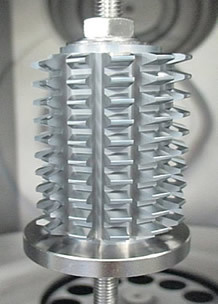 Compact type is downsized and effective for small scale of production and can be used for various types. We offer the best system considering customers' specific needs. 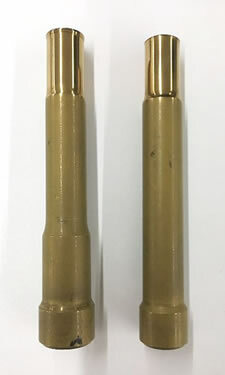 De-coating is possible without damaging carbide substrates. It keeps shape and sharp edges after de-coating. 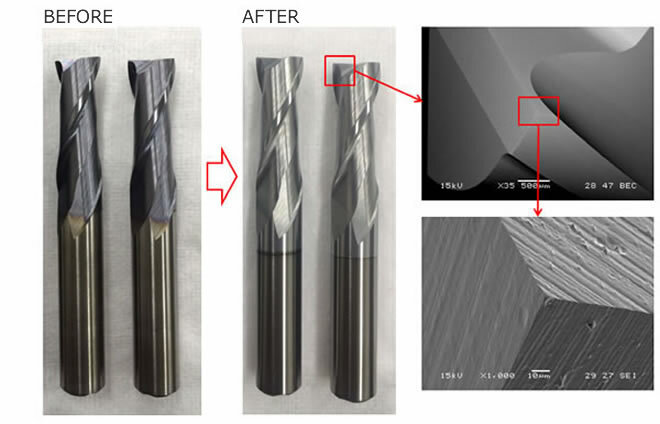 Not only carbide but also it is applicable for other substrates.